If you ride horses on trails, you have probably heard about Scoot Boots. As relative newcomers to the boot market compared to other brands, the Australian company offer color options on the boots, a different design approach to the actual fit, and claims of easy application without sacrificing the ability to stay secure during the ride. At the Equine Affaire in November 2018, I spent a lot of time with the Scoot Boot reps who had traveled from Australia to present their product. I was honestly surprised as I found myself going back 3 times with follow-up questions and thoughts to look at the boots over and over. In the end, I decided the company really was on to a good idea with their approach and became a stockist (dealer). I now have a full fit kit of all the Scoot Boot sizes and offer Scoot Boots in addition to Renegades and Easy Care products. 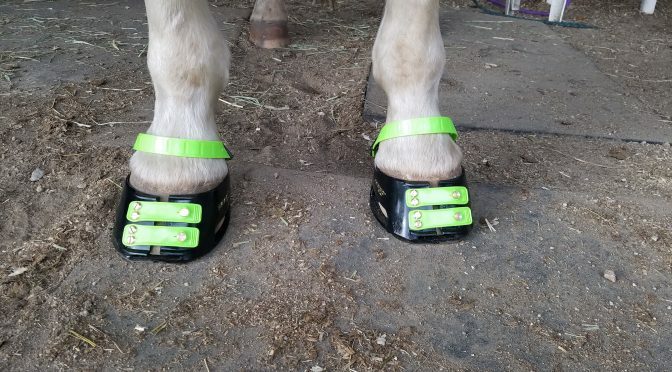 Elijah sporting his new Scoot Boot slims with Lime Green straps! What I love about these boots: open heel bulb design to prevent build up of sand and debris that causes rubs, more forgiving fit which would be useful when booting as a temporary solution following a lost shoe, and easy of application (no mallet required). 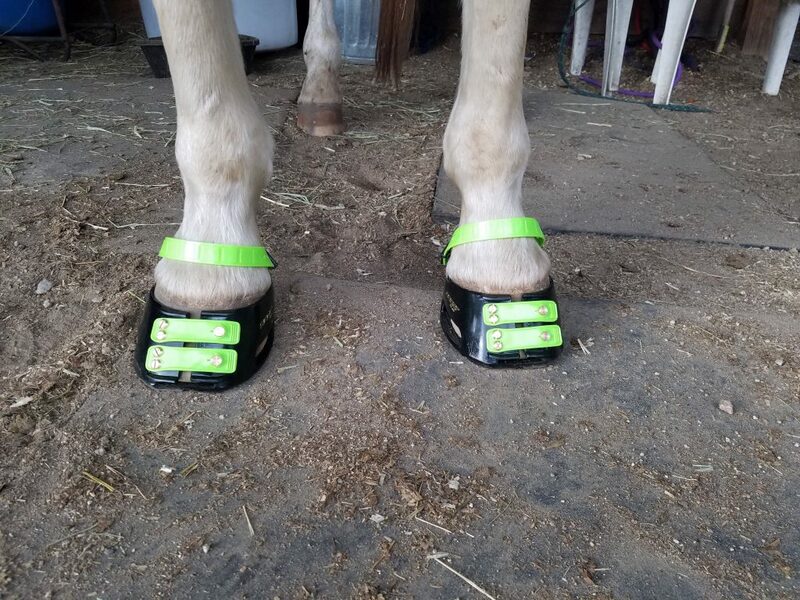 Since these are boots we don’t have experience with on our personal horses, I have already purchased a full set for Teddy to use in his conditioning as we get ready for the upcoming endurance season. Feel free to contact me to discuss your booting needs!